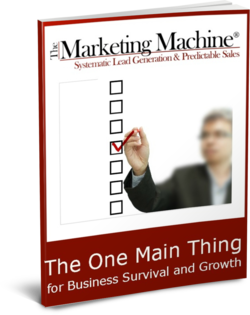 Thanks for requesting our Free Report, The One Main Thing! It’s on it’s way to your email box right now. In the meanwhile, here’s a bit more information about us, here at The Marketing Machine®. 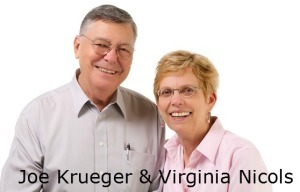 For over 25 years, both Joe and I have been immersed in the world of direct marketing. With $4+ million in sales and a shelf of awards, we’re now developing ways to deliver big business know-how to small business owners, entrepreneurs and consultants. And that includes owners of accounting practices, in particular. In our experience, accountants have a couple of extra challenges when it comes to marketing — some based on a history of needing to “appear professional,” and some based on the constant changes in the number of both technical and marketing options they have to choose from. Does this sound familiar? You’ll find a lot more about us when you get your report. And we hope to find out more about you, in turn!